Running is a true joy in life. For many, running is a way of life. It’s an escape from life. It’s a gateway to a new life. In many ways, running is life. 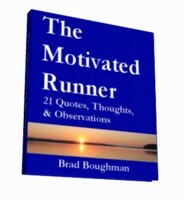 The Motivated Runner mini-eBook is a compilation of quotes, thoughts, and observations about the mindset of a motivated runner.